Meet Plutia on the Characters page! Also, new screenshots have been added on the Gallery page! We would like to introduce you to a new girl, Uzume. Check her out on the Characters page! A new system page on Missions has been added! Check it out here! Neptune and Nepgear are here on the Characters page! An update awaits your eyes! A new system page is here! Take a moment to meet Game Gear! The lastest character to grace the Character page! A new system page has been added! Read up on Class Change! Have you seen Mega Drive yet? Check her out here! Learn more about dungeons in this System page update! Meet a new character on the Characters page! Read up on Battle System and check out a new Trailer! Meet a new character - Dreamcast! 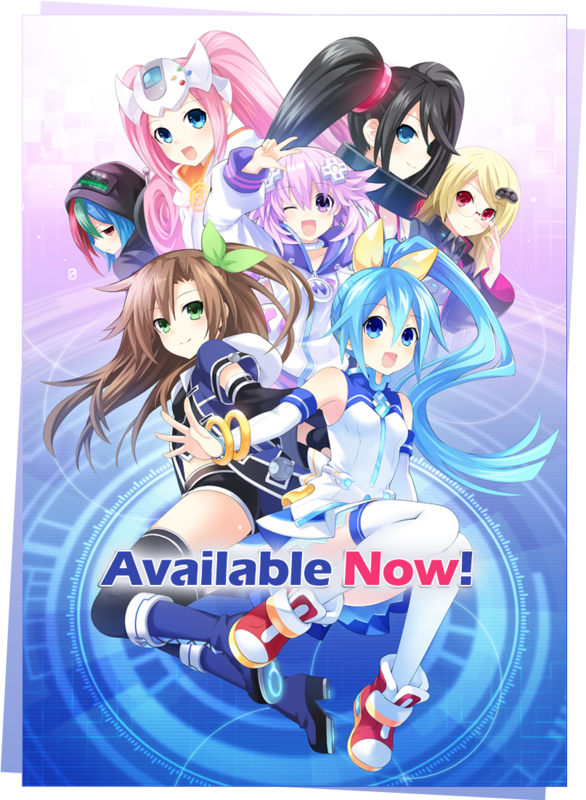 Superdimension Neptune VS Sega Hard Girls™ official site launched! ©SEGA ©2016 IDEA FACTORY / COMPILE HEART / FELISTELLA All rights reserved. 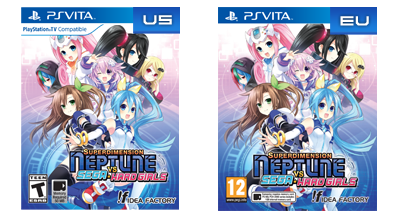 Superdimension Neptune VS Sega Hard Girls is a trademark of IDEA FACTORY. "PlayStation", the "PS" Family logo, and "PS TV" are registered trademarks. The "PSVITA" logo is a trademark of Sony Interactive Entertainment Inc.